Growing corn in containers is possible, however the yield is less than the corn grown in a garden. Corn requires more space than most small or medium sized containers provide. If you’re planting corn in containers, use large pots and reproduce optimum external conditions as close as possible. Choose a large container that is at least 12 inches deep and wide. You can grow about four corn plants in this size of pot. Make sure your pot have enough drainage holes in the bottom. 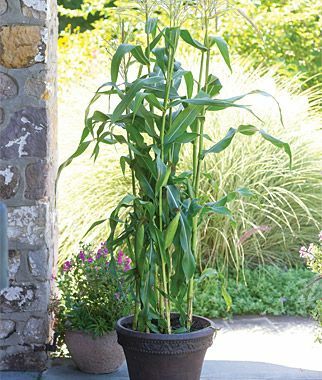 As you grow corn in pots, choose a dwarf variety that does not exceed 4 or 5 feet (1.2 to 1.5 m) height. Some good choices are short stemmed ‘Trinity’ and ‘Sweet Painted Mountain’. Sow four to six seeds per pot about 1 inch (2.5 cm) deep and rake a bit of soil above them. Don’t worry if the corn is planted together closely in a pot. In fact, sowing seeds closely helps in pollination and allow the corn to fruit abundantly. Sweet corn needs full sun, plenty of water and fertile soil to thrive. It depends on the wind for pollination, which is best achieved when the corn is planted in a block of several short rows. Mulch around the corn to hold in moisture. Use wood chips, newspapers or grass to help prevent moisture loss. Mulching also keeps weeds to a minimum. Corn plants require soil that retains moisture without drying out quickly but drains well enough so it doesn’t become soggy or waterlogged. A peat based potting soil works best for them. Water the plant every other day, keeping the soil constantly moist. Water is important ingredient to get sweet and soft corns, especially at the time of fruiting you’ll need to water your potted corns more. Add fertilizer after 10 weeks from sowing. Dig a hole about 2 cm in depth and diameter around each plant. 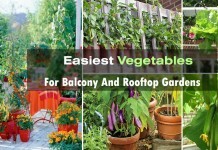 Pour 1/2 tablespoons of 5-10-10 or 10-20-20 fertilizer per plant, and incorporate the soil. 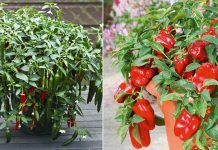 If you know how to grow corn in pots, you can grow your own corns without the need of lot of space, usually corns are ready to harvest between 60 to 100 days after planting, depending on the variety and weather conditions. I have an old, half-wine barrel filled with potting soil and mulch. With a small backyard, I thought I would give it a try. I planted about 15 kernels and will thin to the best. I also inserted wood stakes (4) around the barrel and will put heavy cords around them as the plants grow so if a wind gets strong, hopefully, the stalks won’t blow over. Where do I order the plants or seeds? How did the corn do? 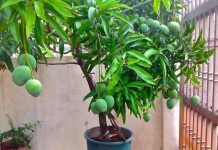 I want to plant in container this year.